There is an age old joke going within the corridors of corporate sector: Firing and Performance Review are the only two things which a manager is scared of and ‘Getting fired’ and ‘Performance Review’ are the only two things which an employee is scared of. Hence, they join the ranks of Microsoft, Adobe and Deloitte who had earlier terminated this practice and adapted a more matured, transparent and ‘employee-friendly’ strategy of motivating their employees. Infact, as per Research firm CEB, 6% of all Fortune 500 companies have stopped using annual performance review to judge their employees. Here are the reasons Accenture decided to make this major decision. Why Annual Performance Reviews Are Bad? 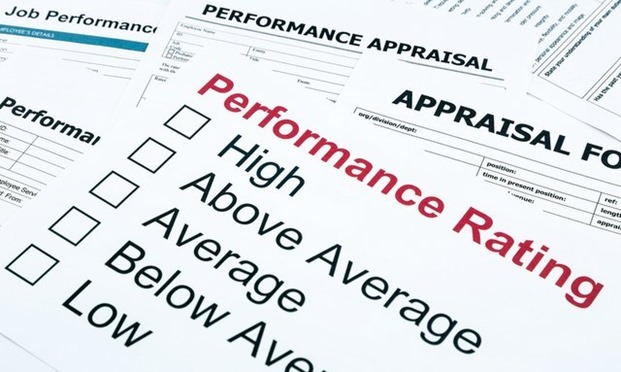 Annual Performance Reviews put their 100% focus on that ‘one time of the year’ when managers evaluate and judge an employee’s performance, and gives them appropriate ranking and stars. Most of the organizations then evaluate these ranking based on Bell Curve, and compare the ranking against all their employees, to finalize the appraisal or promotion of that employee. As per Psychology Today, this practice is not time consuming, expensive and ineffective, but its also harmful for those employees who receive bad rating, despite working hard all through the year. On the other hand, shrewd and manipulative employees who understand the game, tend to work overdrive only during this period of performance review, and in a way ‘fool the system’ to come out with positive reviews. Here are 10 reasons shared by New York Times, which once again proves that annual performance reviews doesn’t work now. In another report, LA Times said that annual performance reviews put too much pressure on the employees, and it actually stops them from saying the truth, which can be beneficial for the organization as a whole. When 100% of the efforts goes in to get high ranking and good reviews, then the organization and it’s values are sidelined. Should Indian Companies Follow Suit? Out of 3.3 lakh employees of Accenture, around 1.1 lakh are in India, and this decision to ditch performance reviews can cause some ripples across the Indian companies as well. By adapting a more rational and logical ways of evaluating employee’s performance, there can be a wide-scale changes in motivating an employee, and the entire spectrum of appraisals and promotions will alter. Ditching an age old practice, all of a sudden, may not be feasible in India context, where it is more difficult to adapt a change. However, more transparency and fairness can ensure that employee’s morale is always up. After the Accenture decision, it would be really interesting to observe how Indian companies alter their policies towards appraisals, and enable positive vibes among their employees. We are definitely witnessing a major disruption in the global job market here. "Accenture Ditches Annual Performance Review for Their 330,000 Employees; Can This Decision Disrupt The Global Job Market? ", 5 out of 5 based on 1 ratings. Adobe, Gap and Medtronic have also transformed their performance-review process. All this terminology of rankings – forcing rankings along some distribution curve or whatever – we’re done with that,” Nanterme said of Accenture’s decision. Now that they have realized that the appraisal system was faulty, they should be rehiring those people who got fired as low performers because of the faulty performance measurement system. This is 100% great idea. I’m taking from positive side: Instead of encouraging your employees once in a year, you can encourage them whenever they do outstanding work and achieve their targets. This will continuously encourage them and the impact is really favorable for company. I don’t agree with annual performance review, because, smart people simply perform and achieve targets in just before 3 months of review time and get good ratings. So employer’s themselves telling them to not to perform. I love my career and achieving targets is my passion. So If I need to perform and achieve targets I just need a monthly or 3 months boost.